With the increasing popularity of OLED displays, companies like Apple, Google, and Samsung have all shifted away from traditional LCDs for their flagship devices. An OLED screen provides deeper blacks and is better for battery life since each pixel can be controlled individually while emitting its own light. This, in turn, has made dark themes an important software feature. Recently, Google researched the battery-saving effects of dark mode, and the results were surprising. 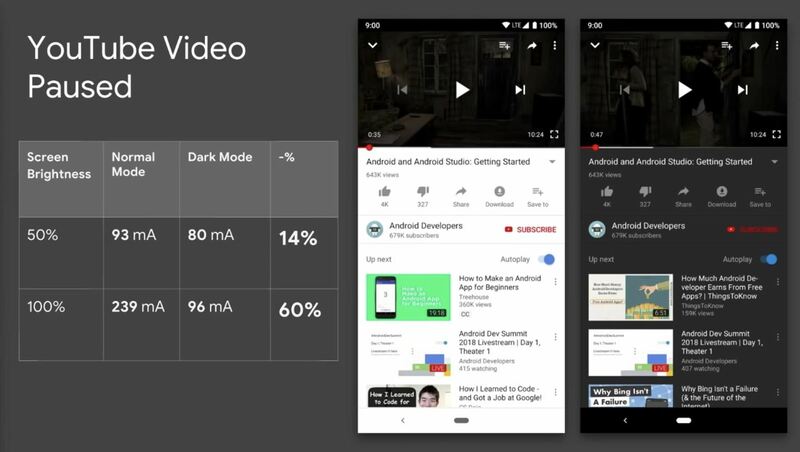 With the YouTube app in particular, dark mode can reduce battery consumption by up to 60% — no wonder they recently added the feature to the app for both Android and iOS. Battery savings aside, dark mode helps ease strain on your eyes at night and offers a more immersive experience while watching videos, so there's almost no reason not to have this setting turned on. YouTube is pre-installed on almost all Android phones, but you can install it from the Play Store if it's not. I'm also sure many of you already have the YouTube app on your iPhone, but just in case you don't, you can go ahead and download it from the App Store. You should also make sure the app is updated to the newest version for access to the dark mode feature. Now, open the YouTube app and tap your profile icon in the top-right corner, then select "Settings." From here, if you're using an iPhone, simply enable the switch next to "Dark theme." If you're on Android, choose "General" first, then enable the "Dark theme" switch. (1) Enabling the Dark theme on iOS. (2) Enabling the Dark theme on Android. (3) Enabling the Dark theme on Android. Now you can enjoy the new dark theme for the YouTube app on Android! What can you expect from enabling dark mode? The background color in all menus will now be dark with the text being white, making it more ideal for battery life. Not to mention, it's easier on the eyes at night as well. It's a win-win all for all current and future displays as well, not just OLED. If you ever want to disable dark mode in YouTube, simply repeat the above steps, but this time, toggle the switch next to "Dark theme" to the off position instead.